JPY is being supported due to the Nikkei 225 report and at the same time, USD is being empowered due to hope for Fed’s rate hike. 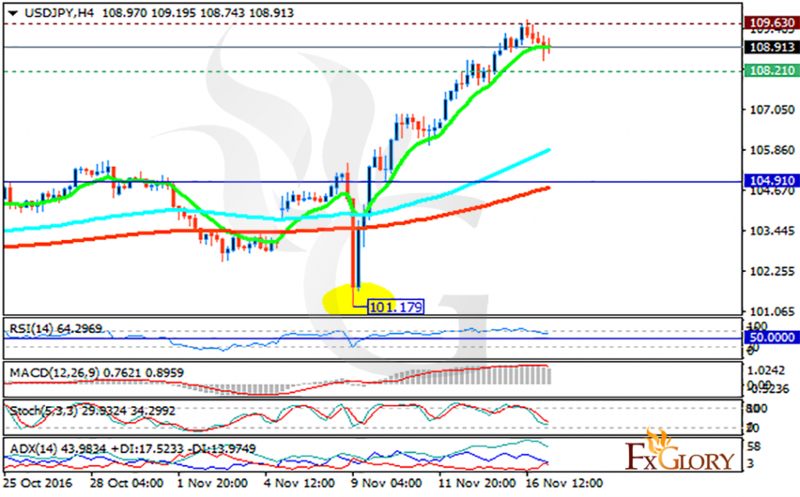 The support rests at 108.210 with resistance at 109.630 which both lines are above the weekly pivot point at 104.910. The EMA of 10 is moving with bullish bias and it is located above the EMA of 200 and the EMA of 100. The RSI is moving above the 50 level, the Stochastic is showing downward momentum and the MACD indicator is in positive territory. The ADX is showing a strong buy opportunity at the moment. Long positions are recommended targeting 110.00.